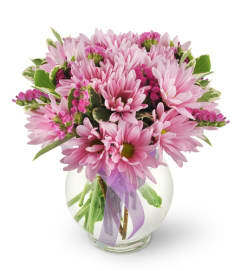 Are you looking for a major WOW factor? Look no further than our stunning cymbidium display! Her friends will certainly be green with envy! 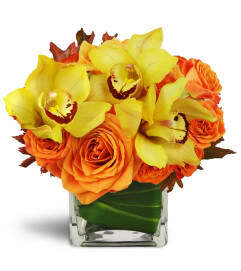 While many bouquets include just one cymbidium bloom or two, we have included three full stems of these lavish exotics! 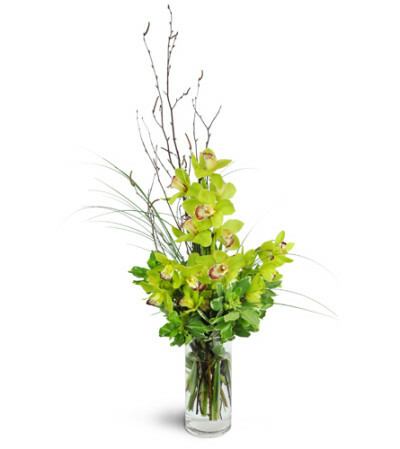 An impressive display of green cymbidium orchids and delicate birch twigs are arranged in a tall, clear glass container.